When your job requires a wiper, you often need to access them fast. 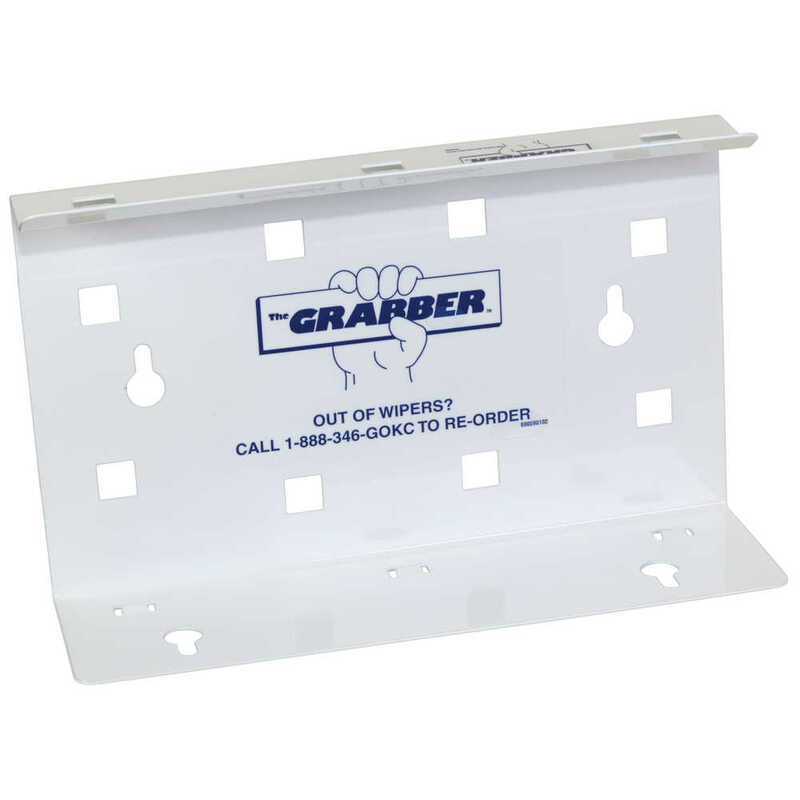 The Grabber Dispenser for Wypall Wipes allows you to mount it to walls, trucks, carts and workbenches. You keep your Pop-Up Box of wipers close so that they’re always at your fingertips – right in your workspace. No more carrying a bulky box around or not having what you need, when you need it. The dispenser, which measures 9.4” x 2.8” x 5.9”, has a versatile, space-saving design that’s simple to mount, so you always know where your wipers are. The dispenser is designed to work with compatible Wypall Towels in the Pop-Up Box format, for one-at-a-time dispensing.